Article 13: the house is on fire! 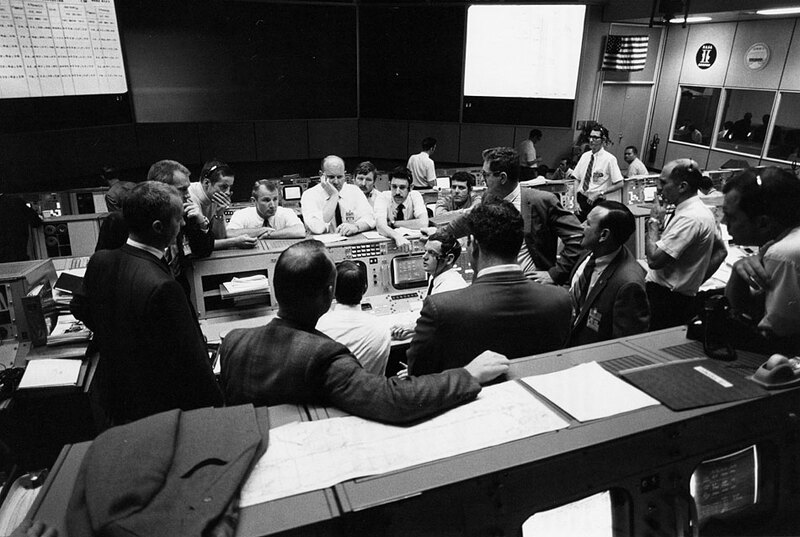 Last week, the German Council delegation shared a “non-paper” with proposals to mitigate the negative effects of article 13, which screamed “Houston, we have a problem”. On Monday the Romanian Council Presidency shared a working paper on article 13 that makes similar attempts to reduce the negative impact of article 13. And yesterday the representatives of the audiovisual and publishing sectors called for the suspension of the negotiations on article 13. These moves show that (1) upload filters are gaining opponents (or losing supporters) at a fast pace and (2) lawmakers are starting to envision the social and political consequences of this ill-conceived law proposal. 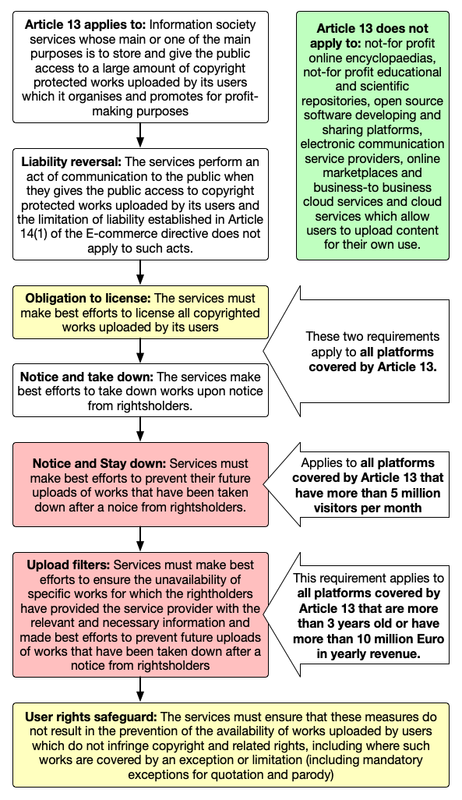 Ahead of the Council Copyright Attachés meeting that took place yesterday, the Romanian Council Presidency proposed a possible compromise solution on article 13 that 1) exempts platforms from liability in certain situations (e.g. if they made best efforts to obtain an authorization from the rightsholders) and 2) introduces a mandatory EU-wide user-generated content exception to copyright, which allows users to upload and make available content generated by themselves, but not by others. The Romanian compromise further suggests to continue to discuss if online platforms that are microenterprises and small-sized enterprises shall be exempted or not from the obligations imposed by article 13. This week Politico.eu has shared a “non-paper” prepared by the German Council delegation on article 13, ahead of the Council Copyright Attachés meeting that took place on Wednesday. In this paper Germany proposes to mitigate the negative effects of art. 13 by 1) exempting platforms with a turnover of up to 20 Mio. Euros per year from the obligations imposed by art. 13., 2) exempting platforms from liability in certain situations (e.g. 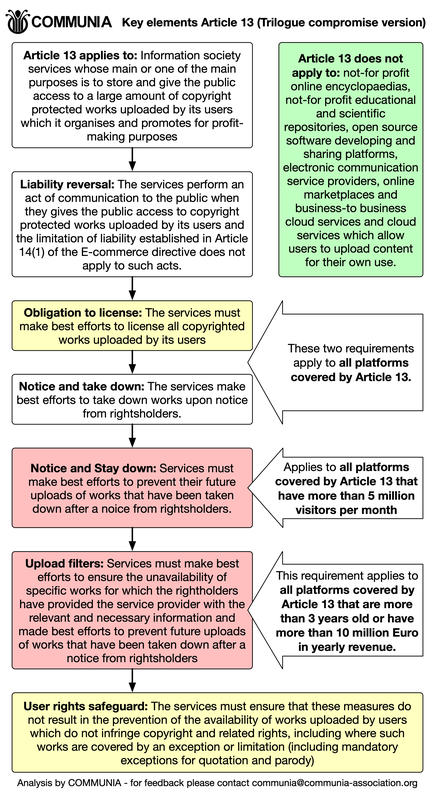 if they made best efforts to obtain an authorization from the rightsholders), and 3) introducing a mandatory EU-wide user-generated content exception to copyright, subject to the payment of a fair remuneration to the rightsholders. It is clear that there is a social legitimacy problem with a law proposal when, in every household visited during the Christmas holidays, someone starts talking about it. Children as young as eleven, teenagers and parents all knew about the existence of an infamous law proposal, which they referred to as “Article 13”. The familiarity with which they pronounced the number of the article was such that an undiscerning observer would believe they had been closely following the copyright reform and had actually read the European Commission’s proposal on upload filters. Sure enough the children and the teenagers had not read the legal provision, neither had their parents. Their knowledge was based on the Youtube videos on art. 13 produced by their favourite Youtubers and/or on the newspaper articles that (finally) had started reporting on the issue, after those videos had become viral (one has now close to 5 million views). This week, Politico.eu has shared a “non-paper” prepared by the European Commission on article 13, ahead of the next trilogue on 13 December. The Commission has been tasked during the recent trilogue meeting with proposing a compromise solution on the issue of “mitigation of liability in the absence of a license”, in face of diverging views between the European Parliament and the Council. In general, any direction on this piece of regulation seems to be lost, with actors participating in the trialogue willing to treat the article like a puzzle, in which puzzles can be rearranged in any way possible – beyond the scope of any previously negotiated and legitimized mandate. The process once again proves to be obscure and lacking with regard to basic rules of participatory policymaking. The Commission was given several guidelines. These include an assumption that platforms do communicate to the public and need to obtain licenses or that automatic blocking should be “avoided as much as possible”, but is also not forbidden. Earlier this week, we published four principles, based on which we plan to evaluate the proposed language for article 13. We believe that any version of Article 13 that does not take these four principles into account will need to be rejected in the final vote taken by the European Parliament. Trilogue: don’t give up on fundamental rights! We have argued again and again that copyright reform is also fundamental rights matter – therefore we co-signed an open letter to the European decision-makers asking them to add human rights safeguards to Article 13 of the proposed Copyright Directive on the Digital Single Market throughout the negotiation process.